Employing an ethnographic examination of Black users online, this presentation explores the concepts of work and labor in Black cultural production of digital content in the social media era. Fuchs and Sevignani (2013) define digital work as “the organisation of human experiences with the help of the human brain, digital media and speech in such a way that new products are created” and digital labor as the “valorisation dimension of digital work.” Using their theoretical framework, I interrogate these concepts of digital work and labor at the intersection of race. I specifically focus on the realms of production by Black digital users employing an intersectional interrogation of the plantation complex of visuality (Mirzoeff 2011). Dr. Kishonna L. Gray (@kishonnagray) is an assistant professor in the Department of Communication and Gender and Women’s Studies at the University of Illinois at Chicago. She is also a faculty associate at the Berkman Klein Center for Internet and Society at Harvard University. She also previously served as a MLK Scholar and Visiting Professor in Women and Gender Studies and Comparative Media Studies at Massachusetts Institute of Technology (MIT). Dr. Gray is co-editor of two volumes on culture and gaming. Feminism in Play (2018, Palgrave-Macmillan) focuses on women as they are depicted in video games, as participants in games culture, and as contributors to the games industry. Woke Gaming (2018, University of Washington Press) illustrates the power and potential of video games to foster change and become a catalyst for social justice. 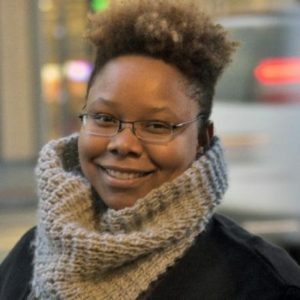 Dr. Gray is also completing a manuscript, tentatively titled On Being Black And…The Journey to Intersectionality in Digital Gaming Culture (LSU Press). This text will broadly explore how online gaming spaces are prime locales to continue the exploration into the treacherous terrain sometimes experienced by Black gamers. Using their narratives as sites of critical engagement, this text interrogates intersectional identity development and justice issues within gaming culture.